Australia Performance in STEM is Woeful, but for Women the News is Even Worse ? You may have missed this, but we can’t let this just slip by Aussie parents. Progress in STEM-related fields (those incorporating Science, Technology, Engineering & Mathematics) is a key to the future of our kids and our nation. 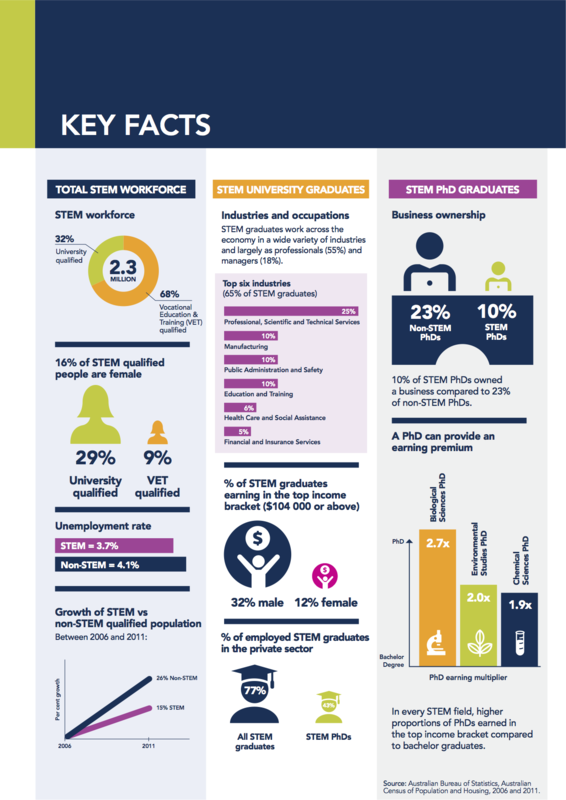 It is well known that Australia’s performance in STEM-related industries is generally woeful, however for women the news is even worse – a new report by Australia’s Office of the Chief Scientist (yes, we have one) has revealed that women are substantially disadvantaged across Australia both in terms of earning capacity and education in STEM fields. Three times more men than women fall into the top income bracket in STEM-related fields. The trails and pathways to these career highways start at childhood. At BRICKS 4 KIDZ, we use all our programs to inspire kids, both boys and girls, about STEM concepts. Currently about 25% of our builders are girls and we would love to see more of them in our programs to construct alongside the boys. If you know a girl who wants to come build with us, put them in touch. This attached snapshot highlights some of the findings of the report. For more details, and outlines of exactly what Australia is doing in this important area, have a look at the Chief Scientist’s full report. Let’s get behind this.